Diatomaceous earth is made up of fossils of tiny algae-like organisms called diatoms. It is a soft white powder made of 80 to 90 percent silica. Unlike many silica sources, the silica found in diatomaceous earth is highly absorbable by the human body. Its high absorption rate makes it an excellent supplement for health benefits. Use Only Food Grade Diatomaceous Earth for Human or Pet Consumption. If you choose to take diatomaceous earth for health benefits, you must use food-grade diatomaceous earth. Industrial grade or pool grade diatomaceous earth contains impurities that may not be healthy for the body. 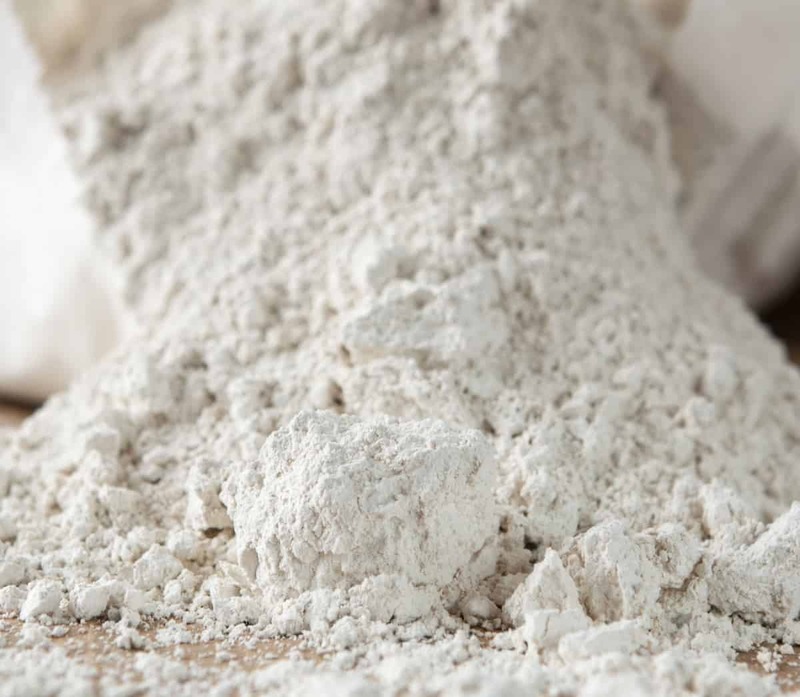 Many sources of industrial grade diatomaceous earth has also been heat-treated, and it no longer has the properties that provide health benefits. Diatomaceous earth is mildly abrasive, making it useful as a cleanser for the skin and teeth. It is often used in skincare products as an exfoliant and toothpaste. 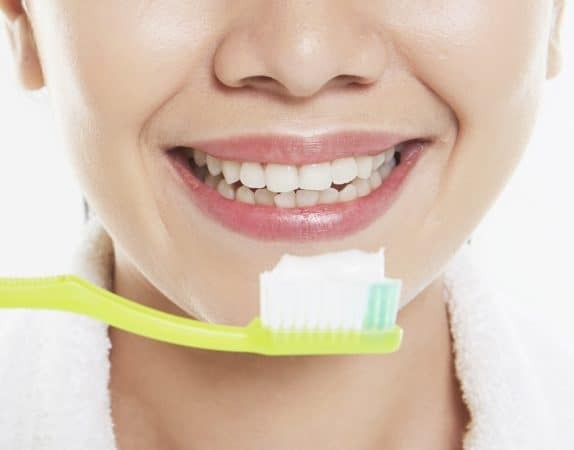 It absorbs harmful toxins and leaves the skin and teeth clean and smooth. Diatomaceous earth supports the immune system and its ability to produce the antibodies we need to fight disease. Silica found in diatomaceous earth is essential to many of the body’s systems, including the immune system. It also removes toxins and kills off parasites, allowing the immune system to function better. Recent studies suggest that silica has a positive effect on diabetes and blood sugar control. Before trying diatomaceous earth for diabetes control, you must consult your doctor. Diatomaceous earth can absorb some medications and make them less effective, so use caution. Work with a doctor who is knowledgeable about supplements and natural medicine. As the diatomaceous earth moves through the intestines and bowel, it absorbs toxins and cleans out the digestive tract. Over time, the intestines are scrubbed clean of all the mucus and debris that has collected, bowel movements become more regular, and the colon is clean and healthier. Put a small amount of diatomaceous earth into a squirt bottle and shake it to create dust in the bottle. Puff the dust directly onto the insect or into areas where infestations are found. Food grade diatomaceous earth kills cockroaches, bed bugs, stink bugs, ants, fleas, spiders, silverfish, dust, and spider mites. The abrasive diatoms create tiny cuts in the insect’s skin or outer shell and dry it out, killing the insect slowly. It takes a day or two, but it does work. 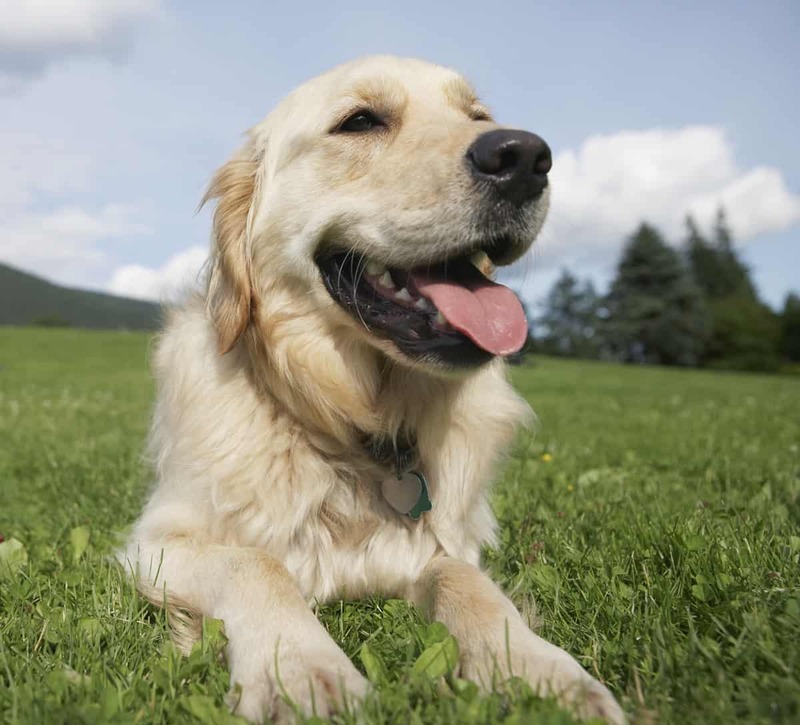 Brush food grade diatomaceous earth into your dog’s fur as a natural tick repellent. Also apply it to the dog’s bedding, carpets, and any other places where fleas may hide. It is perfectly safe for your dog, as long as you keep it out of the eyes and they don’t inhale it. Avoid creating a cloud of dust as you apply it. You can get rid of them by placing a light dusting of diatomaceous earth in their path — also dust around doors, window sills, and other points of entry. A very light dusting is best. If you put down too much, they will go around it. Another excellent home remedy is to kill sugar ants with Borax if you have some on hand for your laundry. Sprinkle diatomaceous earth around your garden to kills slugs, beetles, bugs, and other pests. Use a bulb puffer to puff it directly onto the bugs when possible and sprinkle it on the ground and into cracks and crevices where bugs hide. It is a completely safe pesticide and works on food crops with no safety concerns. Because of its absorbent properties, the diatomaceous earth makes a perfect carpet cleaner for removing stains. 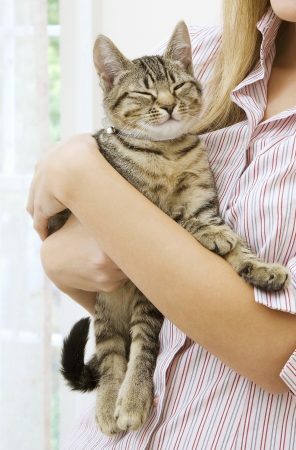 Pet smells, and other carpet odors quickly disperse with diatomaceous earth. Dust your carpet with diatomaceous earth and brush it in with a cleaning brush or broom. Leave it in for 24 hours, then vacuum it up. DE is one of the best DIY carpet deodorizer remedies; your carpet will smell fresh and clean. Make a paste of diatomaceous earth and vinegar or lemon juice and use it to polish bathroom faucets, sinks, and showers for deep cleaning. Diatomaceous earth is a gentle abrasive and suitable for cleaning and polishing metals. Dust your silverware and silver jewelry with a little diatomaceous earth, then wrap it in thin cotton or muslin cloth and store it in a container or plastic bag. 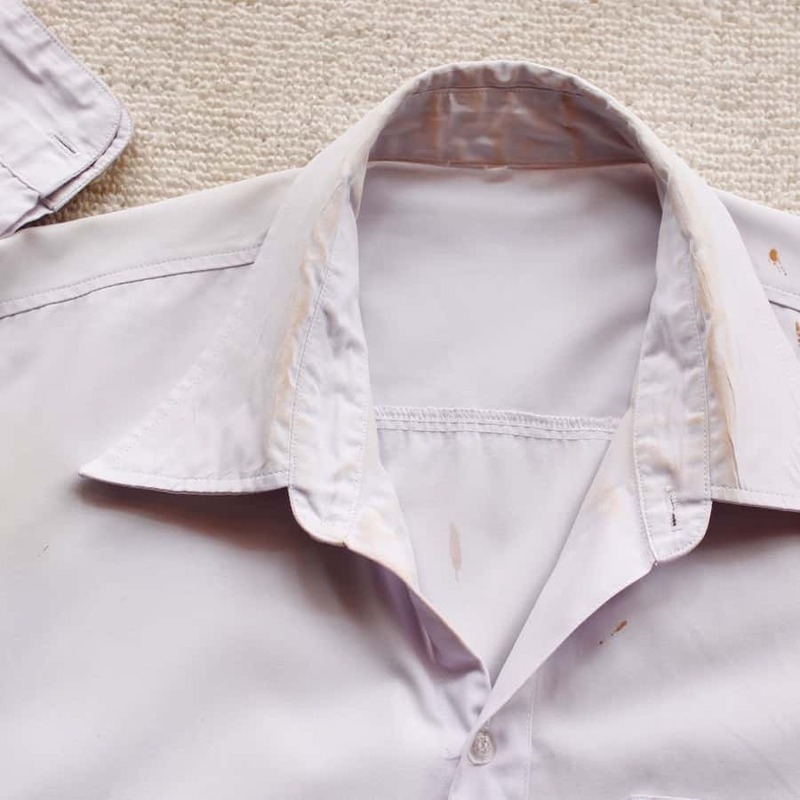 The diatomaceous earth is one of the best homemade remedies to clean silver as it absorbs the chemicals in the air that cause the silver to tarnish. Add a little diatomaceous earth and coconut oil or MCT oil to your shampoo once a week and reap the benefits. Diatomaceous earth helps clean the hair, strengthens it, and removes odors. Don’t scrub your hair with it; just give it a mild massage. Rinse and follow it up with a gentle conditioner. The thermal properties of diatomaceous earth make it a useful insulating material. It is used commercially to insulate for use with cryogenics. Some vacuum thermal spaces are packed with diatomaceous earth to increase the insulating properties. You can use diatomaceous earth as an insulator in a variety of home projects. The silica content is what makes diatomaceous earth so beneficial for our bodies. Silica plays an essential part in many body functions, including the absorption of other minerals. Food grade diatomaceous earth is obtained from freshwater sources and is exceptionally pure, while pool grade diatomaceous earth comes from salt water sources and has many contaminants. Food grade diatomaceous earth is completely safe for consumption by humans and animals. Many people use diatomaceous earth to kill fleas and prevent flea infestations, but it is also useful as a nutritional supplement for dogs. Dogs who receive a regular diatomaceous earth supplement have a better appetite, metabolism, and digestion. Food grade diatomaceous earth is considered safe, and no adverse side effects are known. 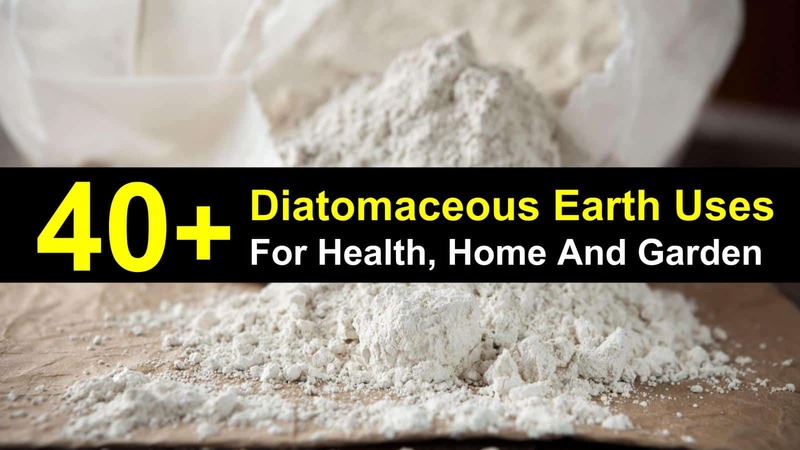 It has been approved by the FDA as a supplement and can be used by anyone, but you should consult with your doctor before taking diatomaceous earth. It can interfere with some medications, eliminating them or making them less effective. However, there are a few health concerns. It is always possible that you could have a negative reaction to any supplement. While a response is highly unlikely, you should begin with a small dose, approximately 1/2 teaspoon or less and gradually increase your dosage. This way, you will limit any reactions and catch them before they can become intense. Your body will slowly get used to the increased doses. 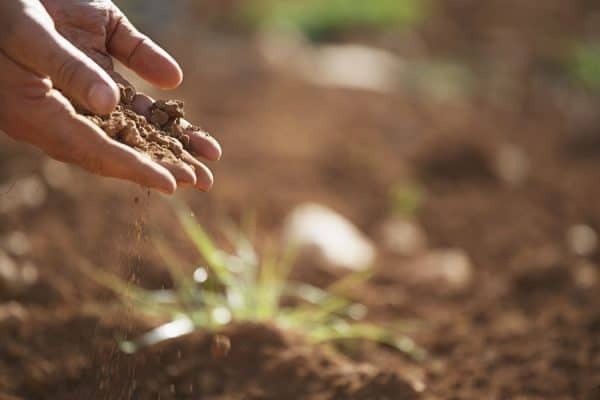 Silica, the primary component of diatomaceous earth is the second most abundant element in soil. It is a natural and common component of rock, sand, and clay. 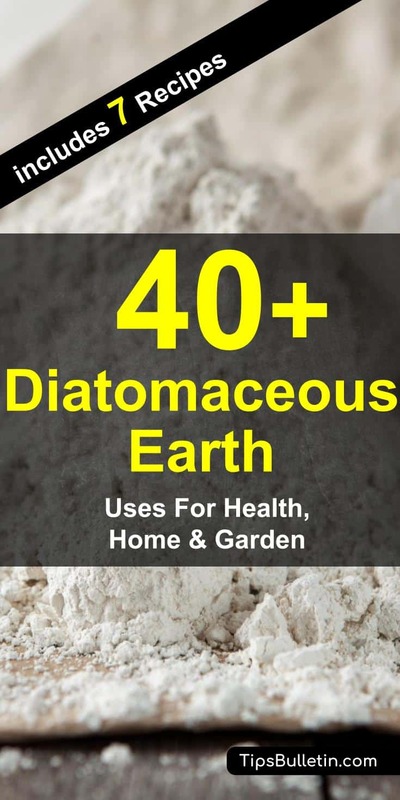 Diatomaceous earth is an entirely natural compound that has no detrimental effects on the environment. Using diatomaceous earth instead of harmful pesticides is beneficial to the environment. Always make sure you are taking food grade diatomaceous earth. It is a safe and beneficial supplement for most people, with the following exceptions. When you begin taking diatomaceous earth, detoxification of the body occurs, and parasites are attacked. This can cause a flood of toxins and dying parasites leaving the body in the first few days. Many people will experience flu-like symptoms during this time and is evidence that the DE is working. You will feel better soon; stay on schedule. As with any supplements, if you are pregnant or nursing, you should consult your doctor before taking diatomaceous earth. Also, people who are taking medications should consult their doctor before taking diatomaceous earth. It can absorb medicines and flush them out of the body – an unwanted side effect. Fuller’s earth is a natural clay that has many benefits similar to diatomaceous earth. It is absorbent, and a deodorizer and is found in many cosmetics and beauty products. Despite their similarities, diatomaceous earth is an entirely different compound. Do not try to substitute a lower grade diatomaceous earth; it could cause serious health problems.